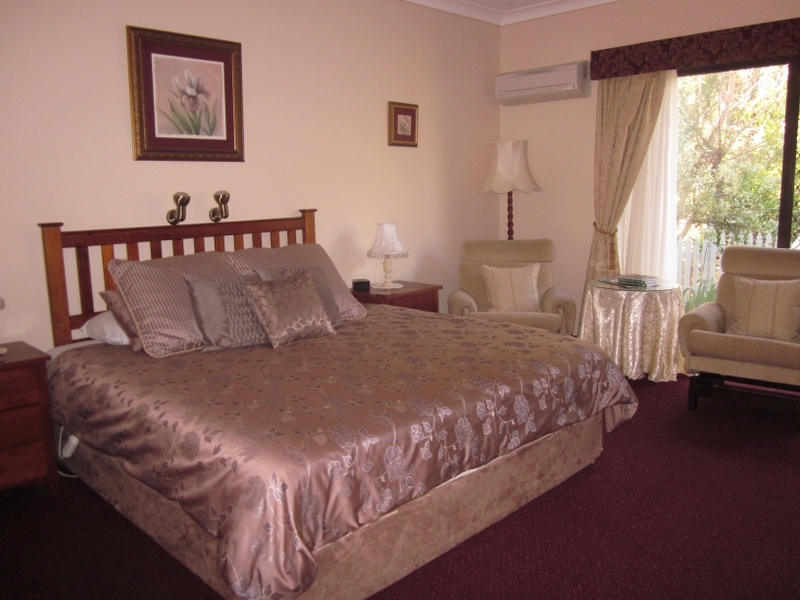 The guest rooms are located in a seperate wing along the rear of the main Guesthouse and Breakfast room. They all have their own seperate entrance. 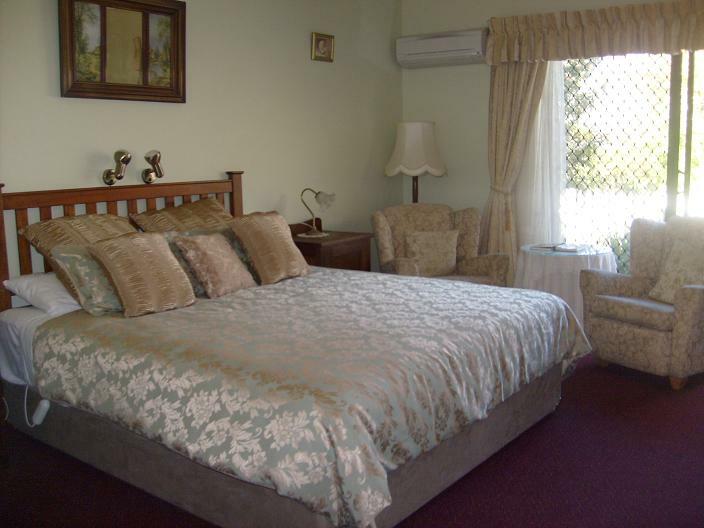 There are six spacious rooms, each has a private ensuite, hairdryer, 32" LCD TV, DVD player, clock radio, bar fridge, microwave oven, tea/coffee facilities, revearse cycle airconditioning, electric blankets, ceiling fan and comfortable arm chairs. A large glass sliding door opens out on to a small private courtyard and garden. 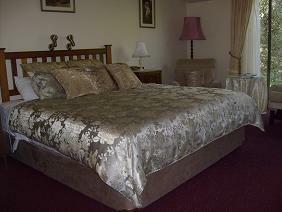 One of the six rooms has two bedrooms with one queen bed and two singles and can accommodate up to 4 people. 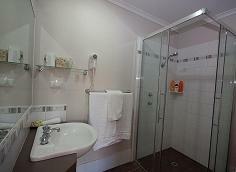 There is also a room with universal access allowing people with disabilities a more comfortable stay. 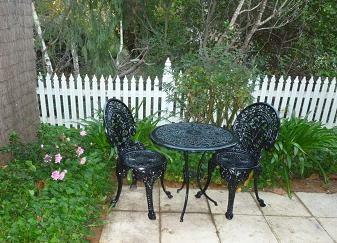 There is a barbeque on the patio which is available for guest use. Ron and Jacqui are more than happy to supply utensils and essentials for cooking. 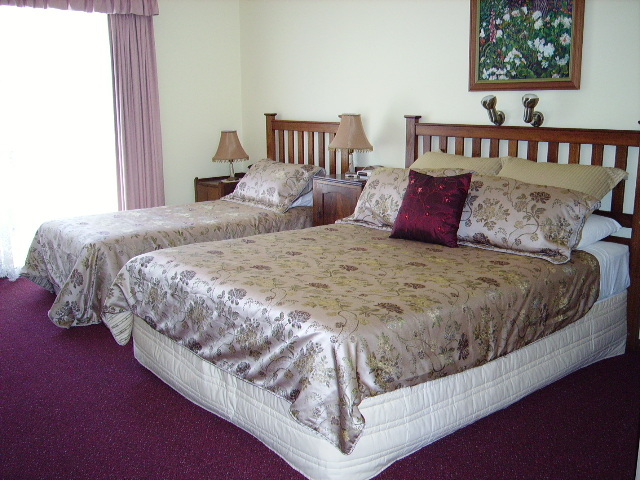 There is a guest laundry with a front loading washer and a spin dryer for guests to use and each room has its own fold out drying rack and ironing facilities.